Getting rid of acne really need extra handling. Not only diligently clean your face and use acne medication, acne skin care must but also from within, such as keeping your diet. To eliminate acne and scars, meet the body's need for antioxidants such as vitamins A, B, C, E, minerals zinc, selenium, and others. This antioxidant found in many vegetables, fruits, and seafood. Therefore, consume as much vegetables and 5-6 servings of fruit each day, and try to pick vegetables and fruits, are colorful. 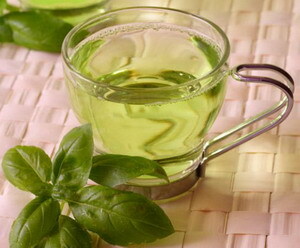 Green tea is rich in anti-inflammatory, called catechins. Catechins help reduce the effects of free radicals in the body, such as pollution, sunlight, cigarette smoke, and air conditioning. Moreover, it can overcome the problem of acne and signs of aging, such as wrinkles and facial blemishes. Olive oil contains essential fatty acids needed skin. Its contents can nourish the skin and address the problem of acne. In order to be healthy you can eat olive oil with vegetables. One of the most important components of skin health is vitamin A. The best way to achieve this is by eating low-fat dairy products. In fact, experts say that the health of our skin cells depends on vitamin A. Healthy skin is a free skin with acne. Yoghurt can prevent the bad bacteria that cause acne develops in the body. Eat one or two servings of yogurt a day. You can mix it with bananas, strawberries or orange pieces. The food is usually better known as libido enhancer. But there is one more utility, the exterminator acne due to its zinc content. Zinc helps the absorption of vitamin A in the body and control the hormones that cause acne. Oyster stew, best for acne cure. Water is very essential for a healthy body and skin. Water can throw all the toxins in the body, including the 'poison' that causes acne. If you do not like drinks that have no flavor, you can add lemon or mint leaves into your mineral water.